Ah, school. Were you one of those eager beavers who was excited to go back and see friends you hadn’t seen since you got out of school last May or June? Or were you one of those who hated the whole idea that summer was ending, that you’d have bedtime rules again, and that you’d be getting up early just to sit quietly in classes you thought you would never need — like grammar? Well, here we all are, finding out that although possibly we weren’t thrilled to be in school as kids, we can be mighty glad we had to be there! Even if most of us won’t use calculus, algebra, or chemistry again, there were a few classes we wish we had paid attention to — yeah, like grammar. But grammar is a different story. Why? Because we’re adults now, and most of us are in jobs or positions that require us to present ourselves professionally for our own reputation and that of the firm that employs us. And since we weren’t necessarily paying attention way back when, we need to keep (re)learning. 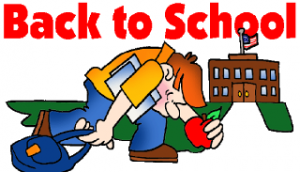 So, let’s take a quick look at a phrase that we have been or will be seeing — no matter where we live: back to school. We’ll see it written in several different ways, but most of us won’t pay much attention. But if you’re in that small minority that wants or needs to know how to handle it, you might be glad for this short lesson. Which is right (I have seen all four versions)? The cosmic question is “do we hyphenate that phrase or not?” Well, it depends. The phrase back to school is hyphenated when it comes before a noun, thereby acting as an adjective. We connect all three words so they will be read as a single, unified thought describing the noun that follows. Otherwise, we leave the hyphens out. We are holding our usual back-to-school special this week! Be sure to shop at our back-to-school sale this week! Are the kids going back to school this week or next? Most parents can’t wait for their kids to finally go back to school! 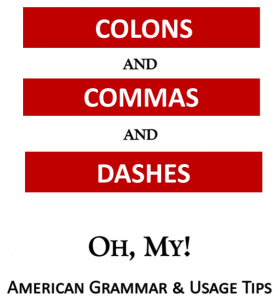 Added bonus: For those who are gluttons for punishment and want to learn more about using hyphens, click here and here. ← Just When Will You Get . .